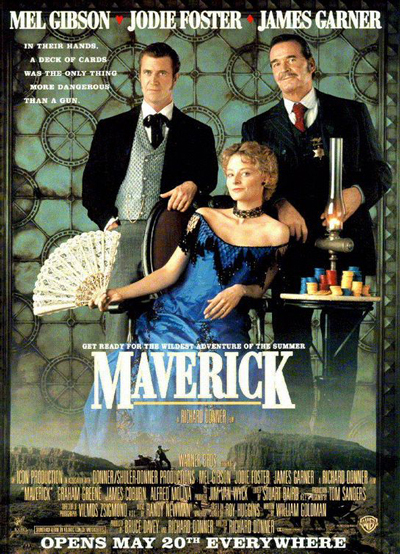 I’m sure most of you have already seen the 1994 film titled Maverick, but I still feel like it needs to be mentioned. It is an all-time classic, and despite my feelings that this movie has about as much to do with poker as I do with ballet, it is still definintely worth a watch. Believe it or not, I have only just seen this film last week. I made four attempts to sit through the whole film, and on my fourth day I finally succeeded and made it to the end. I always wondered why the film was considered the ultimate poker movie. I personally think it doesn’t live up to these expectations and for the people who believe it does, I suggest they take a look at the film Rounders, they’ll come out quite surprised. Overall, I would have to say this film is boring. Not a bit, but a lot. It also tries to be funny, but most of the time the humour feels pushed and becomes rather irritating than hilarious. It’s like when you go to see a movie at a cinema and the film is so bad that you sink in your chair, hoping no one sees you watching it. This movie gives you a similar feeling. But luckily, it is on dvd and in the safety of your own home you can easily switch it off, just like I did for four days in a row. 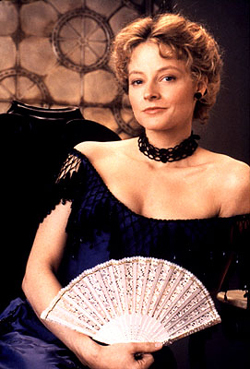 To mention one positive to come out of the film to help bear the two hours would have to be Jodie Foster (Annabelle Bransford), who is so glamorous and beautiful that it sends your brain into a trance just seeing her walking around. The male main actor is Mel Gibson, and although he plays well, his role doesn’t add to the value of his acting. The movie was based on the popular 1950s series also titled Maverick. 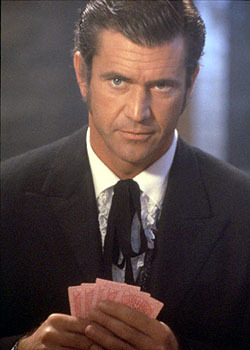 Gibson plays a gambler, whose life goal is to participate in the Wild West’s biggest poker game (in the movie, they play the classic five card draw poker). But unfortunately, he strikes trouble needing $3000 to the $25,000 buy-in. Most of the film is about how Gibson tries to raise the extra funds and what troubles he encounters along his journey. Of course, being an American movie, there is always a romantic thread, and this movie doesn’t let us down, his companion being Jodie Foster who is a thief, by the way. The ending of the movie, of course, is the big poker game, in which everyone fights for the grand prize. In the movie, we can see typical western scenes: fights, pistol showdowns, horse carriages gone loose, shooting Indians and a few poker hands.